Transferring files between 2 computers can be done easily with usb drives. 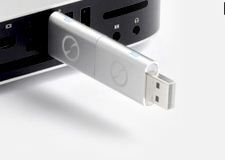 But if you need to transfer files between computers without usb drives, it becomes a challenge. A lot of people may wonder, why do you want to transfer files in other ways, such as via the cloud or even through a router by utilizing the Wi-Fi connection. Fact is, unless you are using USB 3,0 transfer rates on both computers, traditional usb 2.0 and below have terrible transfer rates and pales in comparison with a Wi-Fi data transfer rate. If you connect a USB drive and try transferring large chunks of video files. 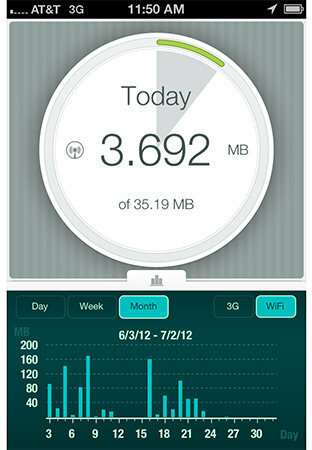 As the transferring is taking place, simply click on more details and look at the transfer speed. The highest I’ve ever seen was around 20 to 30 meg per second. But if you look at Wi-Fi adapters. The slowest these days will be the wireless – G adapters that can hit 53 megs per second and wireless N adapters that hit 300 megs per second for data transfer rates. Even though, a USB 2.0 can transfer up to 480 megs per second on paper, it is based on a lot of factors such as the power supplied to the port and if the device is actually going through a hub that is supporting multiple gadgets. Lets take a look at some easy ways to transfer files between computers without USB drives. Windows 7 comes with a very easy way to connect all the computers in your house. It is called the home group. Networking has never been made this easy. Think it as setting a passphrase to connect to the Wi-Fi in your computer. As long as the passphrase is the same with every single computer in your house, you can see each other. Besides, there is absolutely nothing to fear about data being compromised as long as your house Wi-Fi is secured with a passcode so that the neighbours around you do not hitch a ride on your connection. All you need to do is simply hit the Start Button and type homegroup right away. Create a homegroup if you haven’t done so already. 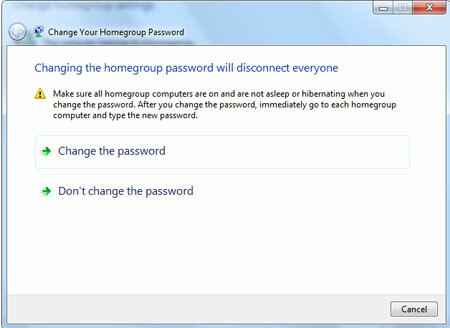 After that, simply type homegroup password and change it to a simpler one or make the rest of the computers similar to the one you are using. Give it a while and you should be able to see each other. To make things real easy, copy whatever you wish to share into the public folders and volia, retrieve it on the other side. There are generally 2 types of LAN cables taking into consideration that we do not count the types of speed available, a normal Ethernet cable or a Cross Over RJ45 cable. In the past, it is safer to stick religiously to get a RJ45 cable. But these days it is quite safe to do with just a normal Ethernet cable because most computers would come with advance Ethernet ports that will know how to automatically configure data transfer to be delivered in the correct fashion. But connecting a simple cable across 2 computers, both computers will show up in each other’s Network as long as the Workgroup name is similar. This procedure might be a little tricky as it involves some technical configuration on the user side before you can get it working. To set the Workgroup, all you need to do is hit the Start key on your keyboard and type Workgroup. Look under Settings, and check if the Workgroup is set to be the same. Thankfully, the default Workgroup is the same unless someone changed it for some weird reason. The only thing you need to change is perhaps the computer name, since 2 computers cannot be named identical in a network to prevent a conflict. This is probably one of the easiest ways out there, since all you have to do is download the software and install on both sides, after which sign in to the same user account to start the file transfer. However, a lot of cloud services have a file size limit which can be solved by cutting the files out of the cloud service once the transfer is complete. Such a process can be very tedious. Therefore, Bittorrent sync is one of the best alternatives where by you simply point to a destination folder and let the software take over. Wake up the next day with all the files you need to transfer over on the other side. If the above suggestions are still too difficult for you because you are zero at anything that requires you to do more then 2 clicks of a mouse. There are usb gadgets that allow you to link 2 computers together the moment you stick the usb into the usb slot of the 2 computers. You will be given a pair of iTwin Connect usb device. Simply stick one end to one of the computers you want to connect. Let the installation CD take over. It even works when you try to connect a Mac and Windows computers. This is networking for dummies level 99. If you cannot do this, I do not know how to help you. I hope these suggestions on how to transfer files between computers without usb drives is going to be useful for all the readers out there.